Looks can be deceiving and I totally agree with this. Ocean Chinese Restaurant is a proof of this. 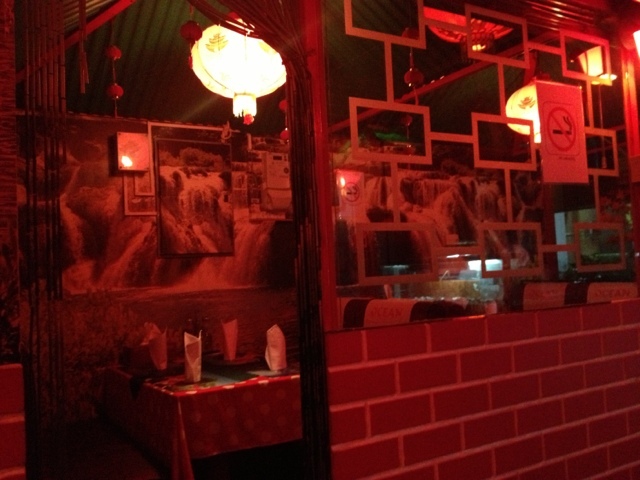 Located just opposite Zayed University between Murola and Airport road is this small and dark restaurant that caters Chinese food. As we would like to find new restos to hang out to, we gave this resto a try. This resto from Zomato.com received a lot of good reviews that was why we gave it a go. We were surprised to see how dark the restaurant is. The whole interior gave a reddish hue, the lights were dimly lit and what's worse the place was so small we could barely move. We were the only customers during that time at 8 o'clock in the evening. Nevertheless, we didn't turn our back and gave this resto a chance to prove itself. First of all, I would like to apologize for the picture quality. This is the best that my camera could do in this poorly lit resto. For the soup, we ordered our kids' favorite - chicken manchow soup. We weren't disappointed as it was really tasty and my kids loved it! 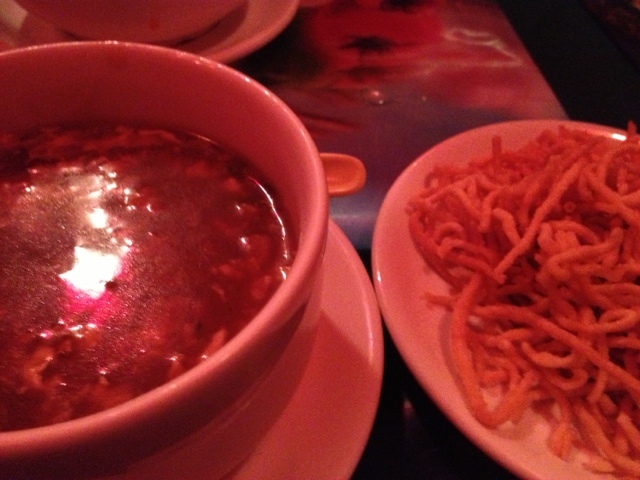 There were a generous amount of crispy noodles served on a separate plate and not placed on top of the soup. 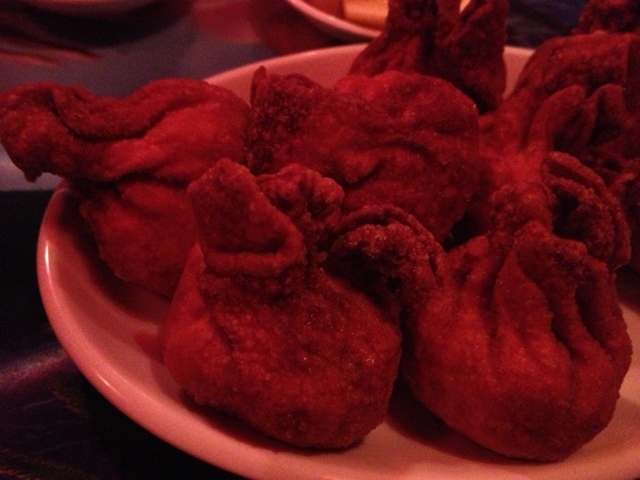 Then we had the fried dumplings. I was a bit disappointed here. The dumplings lack flavor and needs more salt. Also, the wrapper that they used were too thick that you could not barely taste the filling because of it. I think they also over-fried the dumplings. For the crispy noodles, you can choose either the Asian or American toppings. We chose Asian and I think that we made the right decision. This, by far, is the best crispy noodles that I have ever tasted anywhere! It was saucy and full of flavor. The vegetables were cooked just right and I still could feel the cripiness of the veggies on every bite. I don't want my veggies soggy. This was a 5/5 for me. 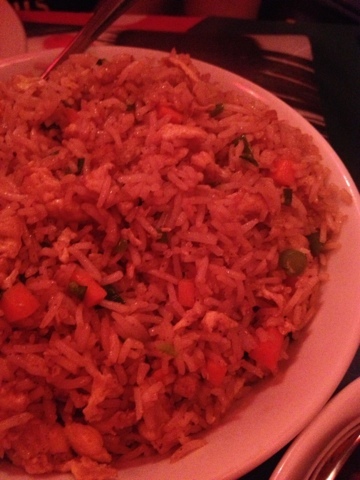 Their mixed fried rice was not so different with other Chinese restaurant's. It was average for me. 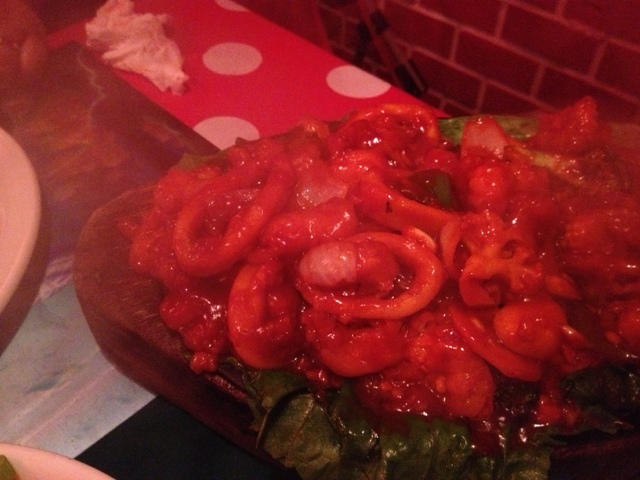 Oh the sizzling seafood was awesome. It was composed of squid, shrimp and hammour. The sauce was slightly sour but delicious. This dish did not even become dry even when left for a long time; this just proved how saucy the dish was. 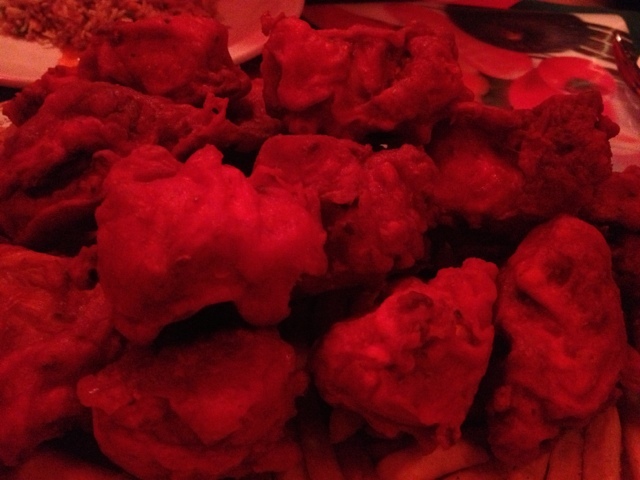 The fried chicken for me was average. It was slightly spicy so my kids were not able to enjoy it. When we go back next time, we will make sure to instruct our attendant not to make this spicy. 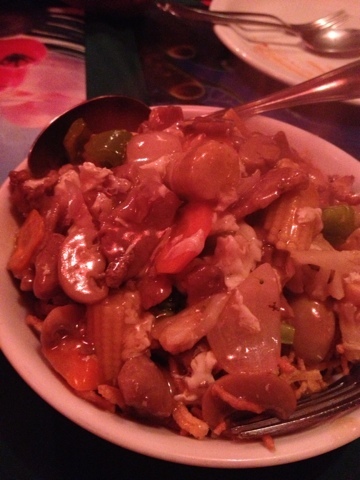 To sum it up, I am giving Ocean Chinese Restaurant 3.5/5. If not for the ambience, I think we would be regular customers of this place especially with their great tasting food and value for money.